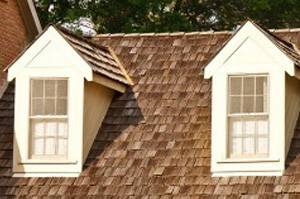 Shingled Roofing | Cedar Shake Roofing | Slate Tile RoofingNaperville Exteriors, Inc. is a leading roofing company in the Greater Chicago Metropolitan Area. We have been engaged in roof repairs and roof replacements on beautiful homes throughout the Chicagoland region since 2002. However, our company has more than two decades of experience in the roofing industry. This means that you are working with a solid company with a long term history of installing high quality roofs at a fair price. When Naperville Exteriors, Inc.’s expert roofing team is involved in roof repairs and roof installations, customers can rest assured that they will be getting the highest quality of work. Naperville Exteriors, Inc.’s roofing contractors have years of experience working with one another. And, like any other team activity; the more you practice, the better you perform. Without a doubt, customers are interested in wanting a well-performing team on their roof. They certainly don’t want their roof to be the “training ground” where mistakes are made, quality is questionable and corners are cut! This is the reason Darien customers prefer Naperville Exteriors, Inc.! We are the best in the business! Darien, Illinois is located west of the Loop in DuPage County. Darien has a population of 22,860 people, with nearly 9,000 households. Recently, DeKalb homeowners have wanted us to replace their worn out shingles and repair their homes’ roofs. They regard Naperville Exteriors, Inc. as the best place for all their roof repairs and roof replacements. Our reputation for offering the quality roofing services for affordable prices precedes us. Darien homeowners know that when they choose Naperville Exteriors, Inc. they will have peace of mind. They won’t have to worry about leaky roofs damaging the interiors of their homes. Furthermore, Naperville Exteriors, Inc.are fully insured and certified with an A+ rating from the Better Business Bureau, we are one of the six certified GAF TruSlate Roofing installers in the State of Illinois, and we only use Certi-Label approved Cedar Shake Shingles, which are proven to last a lifetime! This all adds up to meaning that Naperville Exteriors, Inc.’s status as GAF Certified Installers translates into your Darien roof being warranted to the highest level by the manufacturer. Naperville Exteriors, Inc. focuses its efforts on performing its work to the highest standards of workmanship and customer satisfaction. We are also known for possessing a family-friendly work ethic. Our customers know the excellent work we deliver. Naperville Exteriors, Inc.’s roofing business is constructed around the notion that your family comes first. This means Naperville Exteriors, Inc. takes care of all the roofing debris that accumulates during the job and we place your safety and the safety of your children as our number one priority. Don’t wait for your roofing problem to cause future damage, so to find out more about Naperville Exteriors, Inc.’s roof repair and roof replacement services, give us a call today at: (630) 254-4831. We want to help!